The Xylophone has a full scale of eight notes and the bars are tuned to a scale of C, which allows children and adults to play a song and sing along. The bars are a heavy gauge aluminum that will not rust. 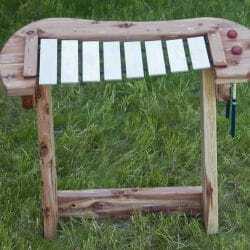 The Xylophone is an enjoyable piece of outdoor play equipment by itself, or you can combine it with the Chime Panel and Large Drum Set to create a mini orchestra. The Xylophone can be left outdoors in all types of weather. 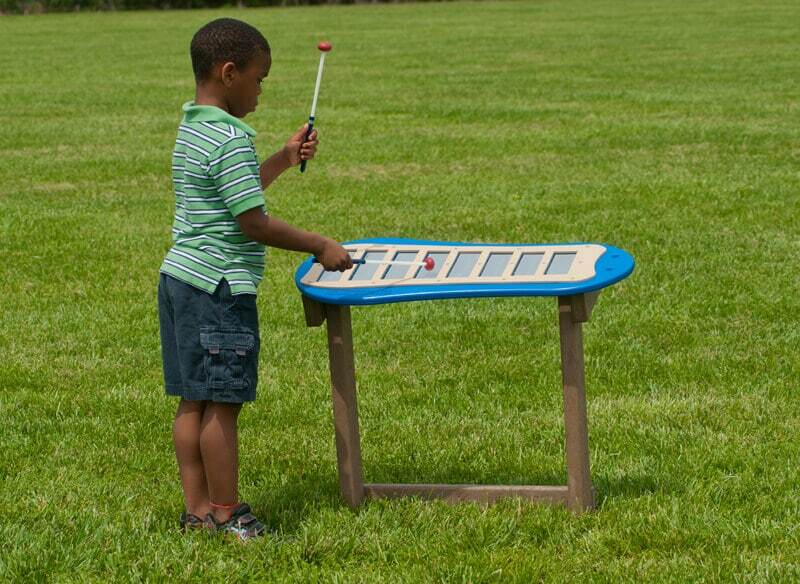 The Xylophone is available in maintenance-free plastic or in cedar for your natural playground. One pair of mallets is included with the purchase.